Welcome to a new kind of home care! Home Care Services of Massachusetts is pleased to care for both your health and your home. 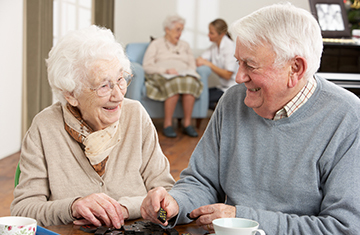 From personal care, care coordination and case management services to home maintenance, our home care agency brings together the support seniors need to lead more enjoyable, healthier lives. We offer seniors personalized care and services they need, from 1 hour to 24 hours per day – making us the ideal choice when additional support is needed. Home Care Services of Massachusetts is proud to offer private duty home care to seniors in the Berkshire County community. Today, many seniors are choosing to live at home with the assistance of caregivers to help them lead more enjoyable, healthier lives. Our goal is to provide seniors the lifestyle they want in the setting they choose. We are dedicated to providing compassionate care that supports individuals to maintain the highest level of independence. Our care begins with a thorough assessment by our nurse or social worker to establish a clear understanding of the clients’ needs. We help identify potential risk areas and develop a plan of action that will promote well-being. We review our care throughout the relationship to ensure that our caregivers and services are meeting the expectations of the person we are caring for, as well as their families. We also plan for changing needs by working together with clients, caregivers, families and community providers to develop proactive strategies that will help enhance stability and reduce safety risks. for your health and your home.